Absa bank, in partnership with the Department of Economic Development and Tourism, launched a business skills programme in June 2016 to equip small suppliers with the necessary skills and knowledge to grow and sustain their businesses. The two-day programme aims to reach at least 1 000 small suppliers and, will run across the province until December 2016, says Doug Walker, Managing Executive for Absa Western Cape. Commerce Edge South Africa has been formally accredited as a training provider of the Chartered Institute of Logistics and Transportation (CILT). CILT is a professional body operating out of the UK with local representation in South Africa. 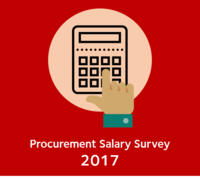 Running a leading procurement organisation is no longer just about attracting younger workers to supply chain and procurement careers. It is about keeping them there. Millennials are now the largest living generation, totalling 75 million, even overtaking baby boomers in size. By 2020, they are expected to represent 50% of the global workforce, too. But Millennials, like all generations, have different characteristics and values than their predecessors, and these differences are forcing businesses to rethink not just how they attract but, more importantly, how they engage and retain Millennial employees. For supply chain and procurement organizations, this may mean making some cultural changes. According M.L. Peck, senior vice president of programs and product development at ISM, companies should be focusing on retaining Millennials, if they are not already. Millennials will need to fill the increasing number of supply chain and procurement jobs left open by retiring baby boomers. Does this sound like you or one of your colleagues? It probably is you, not because you don’t know what you’re doing, but because it seems to be a universally encountered challenge in procurement. A lack of supply chain skills has not hampered performance of South African organisations, found Barloworld Logistics’ Supplychainforesight Survey 2016. However, this is contrary to perceptions in previous years’ surveys where skills were identified as a major inhibitor to growth and sustainability. The disparity in results may be attributed to skills development initiatives whose full impact or value is not yet being realised. Skills development in supply chain logistics was among the areas that survey respondents indicated had a high adoption rate, but full impact or value thereof is not yet being realised. A number of current issues in procurement will affect every professional, according to a new book, Procurement at a Crossroads: Career-Impacting Insights into a Rapidly Changing Industry. As authors Kelly Barner and Jon Hansen see it, the choices individuals make today will determine the direction of their careers and the future of procurement itself. Selecting the right suppliers remains a combination of analysis, art and fortune-telling. There are many decision-making traps buyers can fall into. Cuneyt Altinoz, a supply chain management and decision analysis lecture at Kaplan University (US) has taken the following from JE Russo and PJH Schoemaker’s book Decision Traps: Ten Barriers to Brilliant Decision-Making and How to Overcome Them and applied them to a supply chain management context. Buy SA or Buy Africa? The government, big businesses and South Africans need to buy locally produced goods to support job creation, higher economic growth and address poverty, Deputy President Cyril Ramaphosa says. "If we want our economy to grow, then we need to buy more locally made goods," he said at a Proudly SA Buy Local annual summit.